In fact, over the years, I’ve become what you might call a “disaster packer.” My suitcase overflows with obscure items meant to slap a Band-Aid (metaphorically and otherwise) on any problem, however improbable, that I might encounter on the road. – A nose hair trimmer. There, I’ve said it. I’m beyond embarrassment, ever since my suitcase began spontaneously buzzing at a most inconvenient moment. I wasn’t sure which was worse—confessing that it was a personal grooming device, or letting my sniggering companions assume it was, shall we say, a very personal “massager.” I opted for the latter. – Various ointments for bug bites, rashes, and wounds. I wish I could claim the Neosporin came in handy when I was bitten by a koala in an Australian zoo; this actually happened to a friend of mine. Then there was the time I gashed me knee open simply stepping off a kerb in Tenerife (though, to be fair, it was a particularly menacing kerb). Clearly, I’m a danger to myself and should never be without the most basic medical supplies–and, quite possibly, a copy of Gray’s Anatomy. – Shampoo, conditioner and soap. After staying in one hotel that offered a single tiny sachet of “hair and body shampoo” that wasn’t even sufficient to bathe a hamster, I’ve brought the salon and soap with me. – Silicone ear plugs. Airplanes. Screaming babies. Need I say more? – Sudafed decongestant. My allergies can kick up at the most inconvenient moments, and for me, there’s nothing better than non-drowsy sudaphedrine to plug the nasal faucet. In Ibiza last October, I rocked up to a pharmacy feeling like death on a cracker and tried, in my non-existent Spanish, to describe what I wanted. “You know, that stuff they put in methamphetamine? Don’t you ever watch ‘Breaking Bad?’” didn’t seem like the proper approach. Although, come to think of it, if that was going to work anywhere, it probably would’ve been in the party rockin’ capital of the world. 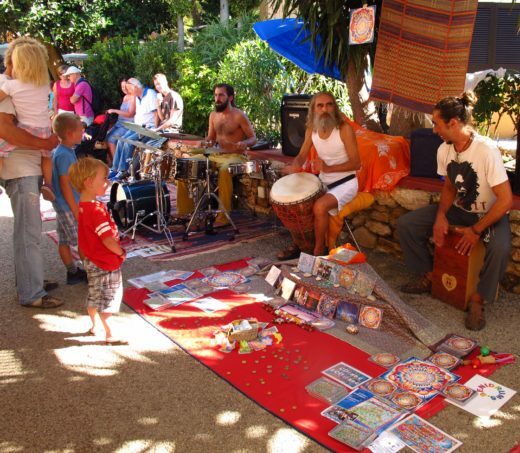 The Hippie Market on Ibiza. – Two toothbrushes. Yep, two. If you’ve ever dropped your toothbrush in a hotel toilet a million miles from the nearest drug store, you’ll understand. – Two pairs of sunglasses. See toothbrush explanation above. Yes, the toilet seems to wield an odd magnetic attraction for my most intimate accessories. 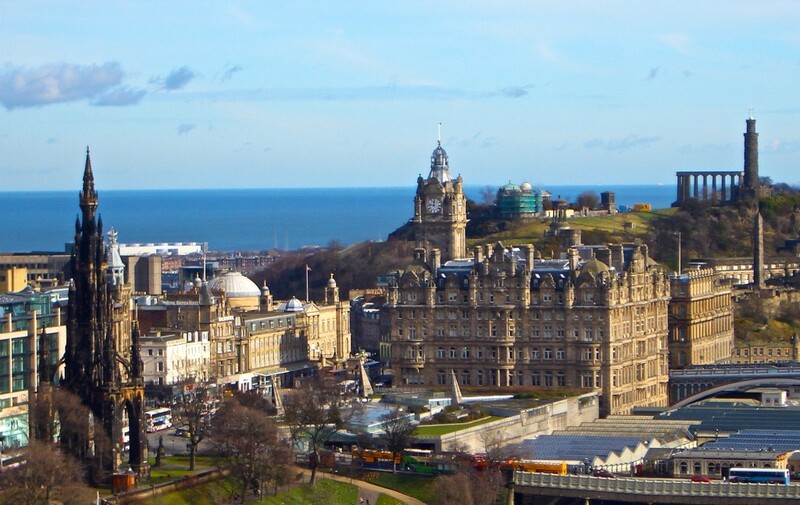 Blue skies over Edinburgh. Don’t panic; it’s not a sign of the Apocalypse…apparently. – A bikini. I might be headed to the Arctic Circle on an ice-breaker, but by golly, you never know where you might find a heated swimming pool or hot tub. Admittedly, I envy those folks who require nothing more than a gym bag for an around-the-world cruise. I have the greatest admiration for my friend Stephen, who is so devoted to pairing down his travel kit that he actually takes a toothbrush (just the one) with the handle broken off, to cut down on space. This is a man who can pack for a month in his back pocket. Unfortunately for me, I think I’m wedded now to the “kitchen sink” approach. But if you find yourself in the frozen Himalayas in need of toothbrush or a nose hair trimmer, I’m the girl you’ll hope to find in the tent next door. ← Who am I? What am I? Where am I?